There are large areas of Australia that are naturally dry. Except after big rains, there's very little above-ground water. 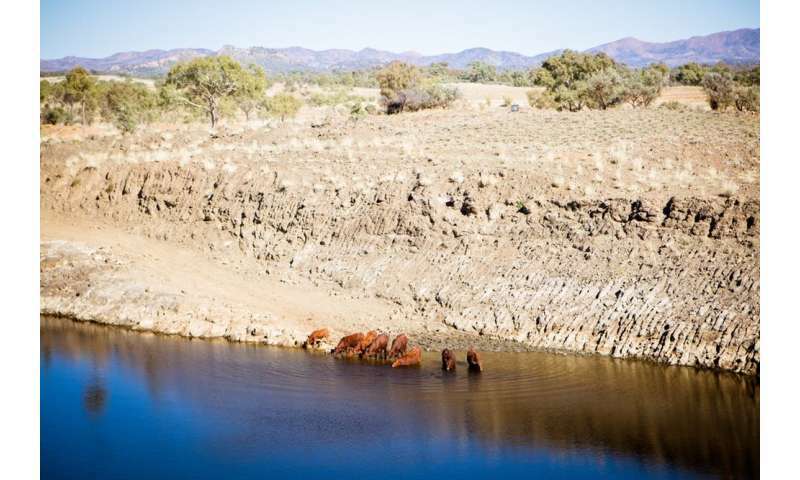 When people began farming sheep and cattle out in the western ranges, they created artificial water points with the help of dams, tanks and bores. But if the toads can't reach open water they cannot live through a dry season. The proposal aims to restrict the toads' access to the water, but still let the cattle drink. This doesn't mean fencing dams is easy: the stations where this would be most helpful are very remote and have plenty of water sources, so fencing (and maintaining) them all presents a logistical hurdle. However many stations are increasingly replacing dams with tanks, which serve the same purpose (and lose far less water to leakage and evaporation). Another promising development is the number of farmers installing "cut-off switches" for the pumps that fill dams. This is a move away from the older system of turning on a pump and leaving it on until the generator ran out of fuel – perhaps days later. This meant considerable overflow, and created ideal conditions for cane toads. Tanks with solar panels and a cut-off switch that senses when a trough is full can save farms water, power and money, as well as stranding cane toads. It's true some of these dams are now part of the landscape – they've been there for a long time. On the other hand, we're talking about areas that did not originally have much above-ground water before people showed up, and most animals native to the area don't really need the water (of course, they will drink it if it's there). How big does the barrier need to be, and won't the rains let the toads cross anyway? The cattle stations in northern Australia are huge—often 5,000ha. On this scale, just a handful of stations could make a huge difference. The distance a toad can travel in a day varies highly with the environment and weather. 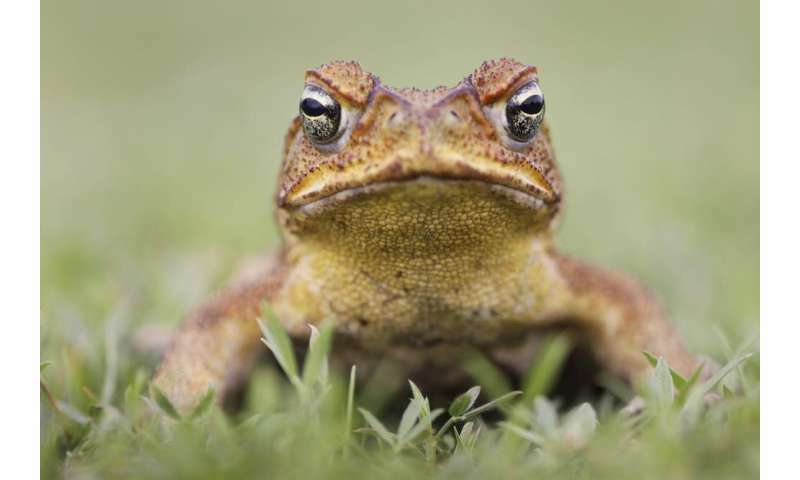 In a hot, humid environment a toad might be able to travel roughly 20-30km during a wet season; during cold or dry weather they're stuck where they are. Therefore even after heavy rains there won't be enough water in standing puddles or river beds to let the toads cross the waterless barrier. 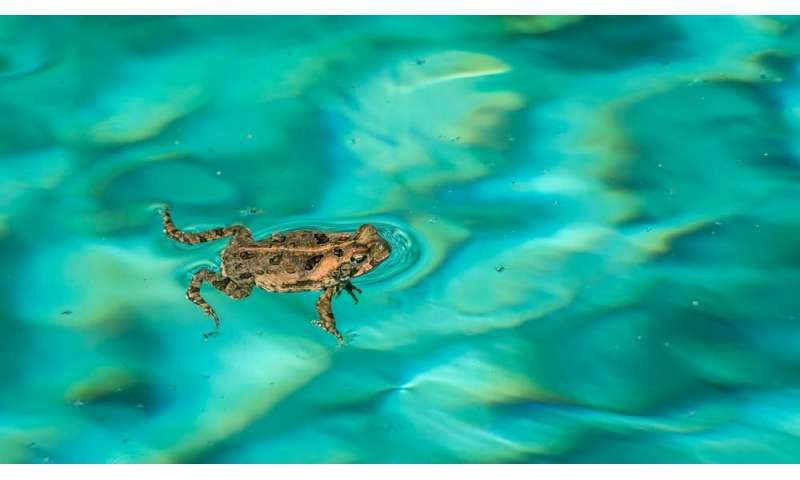 The puddles would dry out, leaving the toads stranded and without access to dams they would quickly die. 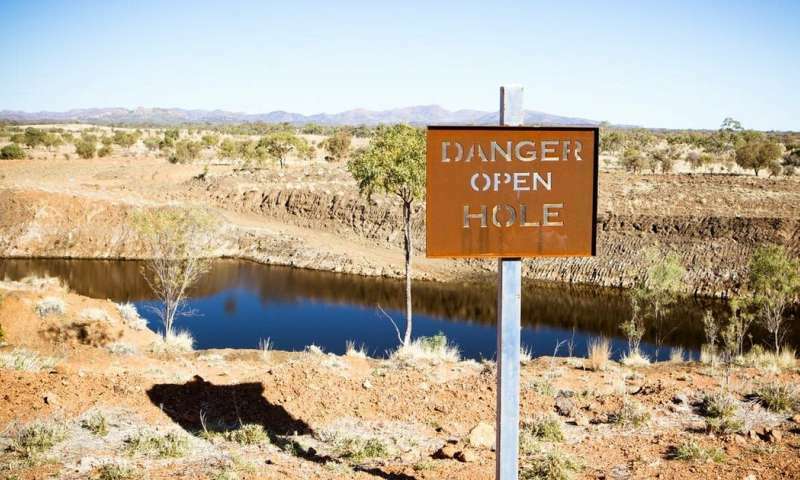 Cane toads haven't been found in this part of Australia, but we believe they will be soon. By creating waterless barriers we can cut them off.